You are here: Home / News & features / Business & Economy / Clock ticking backwards for Swiss nuclear energy? Switzerland wants out of its nuclear energy programme as soon as the life expectancy of its reactors is reached. With evident agreement between the political center and left wing, the first nuclear installation to be shut down in 2031 will be the oldest one, Beznau I (commissioned 1969). 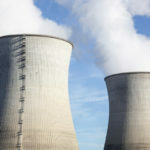 By 2034, the Swiss will have gradually disconnected all of the nation’s nuclear power plants. Energy Minister Doris Leuthard has confirmed that they will not be replaced. According to official calculations, the cost to the nation of this plan will reach between CHF 2.2 billion and CHF 3.8 billion. Although 40% of the country’s energy derives from its five nuclear power plants, the alternative solution, will deliver power from hydroelectric, renewable energy and combined gas plants. The government reached this decision after considering a combination of factors. 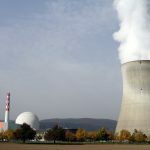 Firstly, Switzerland experienced its biggest anti-nuclear protest in 25 years, with 20,000 protesters voicing their strongly held opinion and demanding the immediate shut down, of the Beznau and Mühleberg power stations. Additionally, Switzerland took under consideration the issues and concerns raised by the Fukushima nuclear power plant disaster in Japan. And what did the country’s politicians have to say about this? The centre-left Social Democratic Party, voiced a positive reaction: “The decision is for all future generations instead of being just in the interest of a few electricity barons,” said the party’s president Ursula Wyss. The centre-left Green Party, expressed the same positive attitude. On the one hand, they agreed with the decision, but on the other hand, did not welcome the lengthy time period planned for the decommissioning and say Beznau station should be shut down immediately. 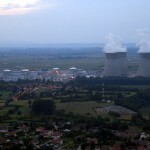 The centre-right Radical Party, expressed conflicting view points, as it believes that there should be a change in reactors and not a total shut down of the plants. According to party officials, the people and businesses should be assured of their electricity supply and rational prices. They also support a broader concept of renewable energy, as well as an open market. The far right Swiss People’s Party (UDC) expressed its negative opinion on the matter, using words such as “hasty and premature”. It claims that electricity prices will increase, resulting in a heavier burden for households and businesses. Party officials, also stated that they will not let the issue t rest until a feasible solution is brought to the table. Finally, Doris Leuthard Minister of the Department of Energy broadly welcomed the work of the National Council and is reportedly “very satisfied” with Parliament’s energy strategy and is relieved that no specific date has been set for the decommissioning of the nuclear plants. So informative and well written ! !